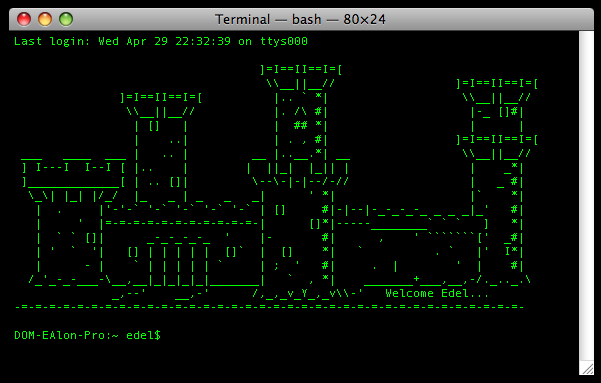 I remember back in the day when I used HyperTerminal to get onto the internet. Times have definitely changed but there is still a need for terminal clients like HyperTerminal. I’m not MUDDing anymore. My time is now used doing all around web stuff and checking up on some of my servers. While Macs have a great Terminal client, PCs don’t. One of the best terminal clients I’ve seen for the PC is PuTTY. Well, it’s free and relative easy to use/configure. I’ve tried other clients but this one takes the cake. Sorry, had to throw this in because I felt geeky.